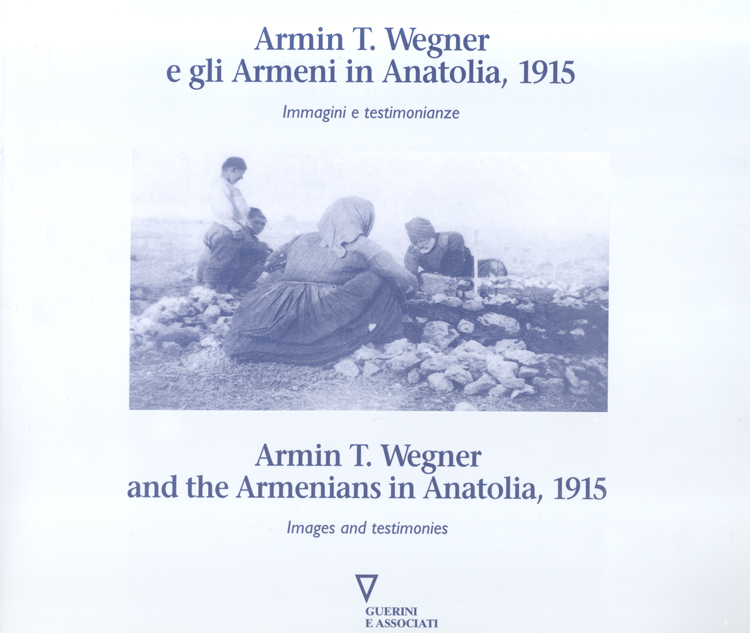 Armin T. Wegner and the Armenians in Anatolia,1915 (Armin T. Wegner e gli Armeni in Anatolia, 1915) is a bilingual (English and Italian) collection of images and testimonies of the Armenian genocide. The book was prepared for the 1995 photography exhibit at Civico Museo Archeologico di Milano where the work of Armin T. Wegner was put on display to commemorate the eightieth anniversary of the Armenian genocide. Armin T. Wegner was a German intellectual and eyewitness to the Armenian genocide in 1915. The book contains 80 photographs taken between 1915 and 1916 at Armenian refugee camps throughout the Ottoman Empire as well as maps, charts, letters and archival material. A detailed biography of Armin T. Wegner begins the book and is followed by historical documents and testimonies of the survivors, which accompany each image. The book concludes with an in-depth bibliography for further reading.